It's blast off at the London Toy Fair 2018. This launching rocket by Air Hogs is gaining great height at the show. "Because it's actually the closest thing that children will get to launching a real rocket, it's got educational benefits as well because children are learning about mathematics and how high things can go and gravity and stuff like that." "But most importantly it gets them off their tablets, off their smart devices and out into the big outdoors with their family and friends, which is great," says Ranjit Dhutti, the senior brand manager for Air Hogs." 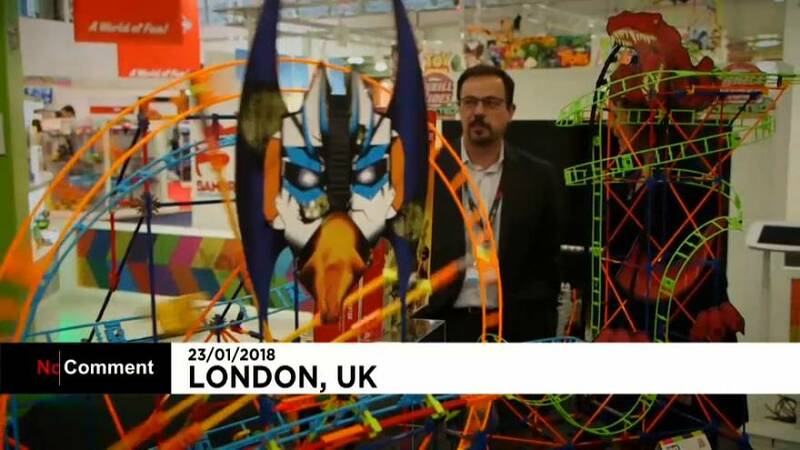 The London Toy Fair runs from 23-25 January, 2018 in London.